The Belize Social Security Board (SSB) has publicly denied the rumours of any increase in the contribution wage bands for 2017. 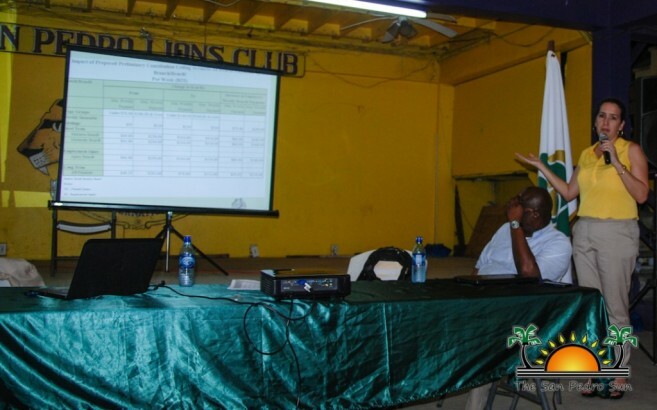 However, at a public consultation on Tuesday, January 17th in San Pedro Town, the SSB engaged island residents in a discussion regarding a possible increase in the contributions for 2018. 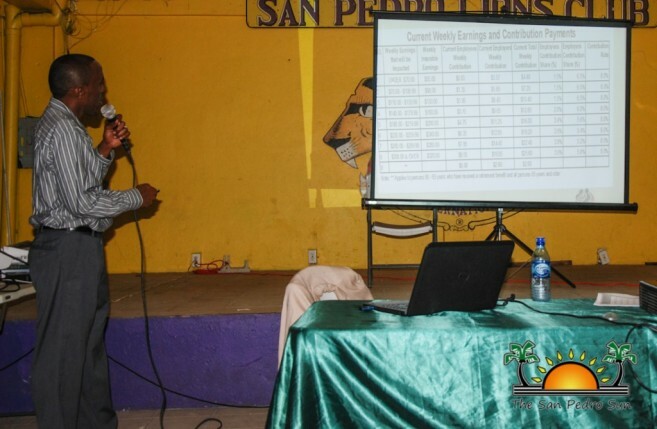 The consultation was led by General Manager of Policy and Programs at SSB, Chandra Cansino, who explained that if approved, the new increase will primarily affect persons that are making a salary between $300 to $500 dollars per week. According to her, employers will also be affected by the new norm once the increase is approved. 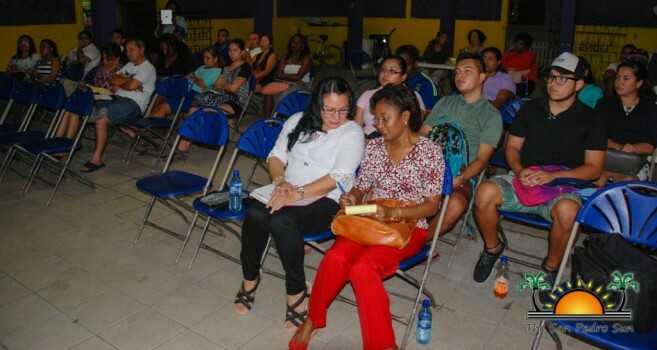 “The contributions that the employers make will be affected to some extent, however, in order to finalize by how much, we need to have more conversations with employers, and unions as to how the distribution will be in regards to that,” said Cansino. Cansino explained that the percentage for contributions will not change, and it will remain at its actual 8%. “The proposed increase will reflect according to what your earnings are,” she said. She also indicated that in Central America, Belize has the lowest percentage of SSB contributions and the second lowest in the Caribbean. The proposed increased of contribution wage bands have been on the table for some time, says Cansino, and even though it has been set aside a couple of times, the recommendation for the increase has been consistent. “Analytical studies have recommended the raising of contribution wage bands, which will have a benefit on the insurable earnings and benefits package for the long term sustainability of the fund,” said Cansino. She noted that SSB receives its income from the contributions made by every Belizean labourer and from return investments. For 2015, the percentage from the investment income was %5.9, which according to Cansino is very good; however, it cannot continue to sustain the long term obligations of the institution. An example was given as to why the proposal for an increase is necessary. According to a financial report for 2015, the total income generated from contributions was $77.3 million and investment was $24.7 million dollars. However, the total expenses in benefits and administrative costs were $77.3 million, which matches the same amount of contributions. “We are hiding nothing on this agenda, however, we cannot just jump to a final conclusion regarding this proposal without your consent; thus, we will continue engaging in consultations so everyone is well informed of the reasons behind this case,” said Cansino. Before the presentations ended, the audience was provided with some details of what the benefits will be for both employees and employers if the proposal is approved. “Of course, the more you contribute, the better the benefits will be,” said Cansino. According to her, the new system will allow workers with higher incomes to ensure a higher portion of earnings, which at the end will result in higher benefits. “Benefits will be kept in line with normal progression of salaries. Also it will allow insured persons access to higher pensions more in align to actual earnings,” explained Cansino. As for employers, they will benefit via a reduction in direct cost for employees on leaves, such as maternity. The weekly benefit payments will be greatly reduced under the new wage bands. Cansino also stated that the direct cost for employees on sickness benefit for the first 16 days will also see a reduction in payments for employers. Most of those in attendance seemed optimistic about the new system proposed by the SSB. A few persons from the audience suggested, that the funds be better safeguard so they are readily available when they are needed, pointing out that in past occasions, the Government has interfered with such funds, which they believe should not happen. SSB representatives welcomed such suggestions, and ensured everyone that all feedback will be taken into consideration. Cansino told The Sun that this is the beginning to a journey of change and they hope that by the time a decision is ready to be made, they will have the full understanding and feedback from the Belizean people.